Why choose Russia for higher education? Russia has emerged out of the cold war shadows and communist legacy while carrying on with its scientific discoveries, which are globally respected. Today, the country enjoys a literacy rate of around 96.5 percent, while it has earned the reputation of being the top choice for students seeking higher education in science, technology, and business study programs. Around 1,75000 students from ~200 countries are attending Russian colleges currently, in ~650 state universities. The major scientific achievements of this country remain one of the main reason why foreign students choose Russia for their higher studies. Russia has a remarkable history in this direction, as it was the first country to launch the manned space mission, with Yuri Gagarin. Russia is one of the Top 10 destinations for international students. The education and living expenses are quite affordable and very reasonable, as compared to the same in western countries. This is mainly because education for international students in Russia is subsidized up to 80 percent. Also, students are legally allowed to work up to 20 hours per week. However, work permit policies differ in each state of Russia. Moscow State University (MSU) is the most reputed and one of the oldest universities in Russia, founded during 1755. The university offers higher education courses in subjects ranging from humanities, economics, business, culture, and languages to medicine, engineering, science, and technology. The university is affiliated to the International forum of Public Universities, and European University Association., while having Institutional Accreditation from the Russian government. MSU has a student enrollment range of 25000 to 30000, while academic staff totals to around 5000. The University is a non-profit organization, with no religious affiliation. Kazan State Medical University is a leading educational institution in Russia providing higher education in medicine, pharmacy, a pediatrician and other study programs. They have a foreign student enrollment of around 400 every year. The tuition fee for English medium students is USD 2800 per year, while the hostel fee is USD 100 per year. Students need to purchase an insurance policy, amounting to USD 100 per year. The general admission procedure comprises of several steps, starting from filing the required application form, as provided by the "RUS EDUCATION." The copies of passport and higher secondary examination passing certificate must accompany the form. Transcripts should be made, wherever applicable. RUS EDUCATION will then receive the admission letter from the selected university, based on which the visa invitation letter will be sent to the international student. The stamping of visa on the student's passport comes next. Students arriving in Russia must carry a valid student entry visa, valid passport, medical health certificate and negative AIDS test results. Also, the students should get a certificate of equivalency of their educational documents, issued by Russian State authorities. Different universities have their admission criteria for enrolling young foreign students. However, almost all of them conduct an entry test, which also is the basis of any scholarship allocation. The eligibility criteria for college admission includes education equivalent to the secondary level in Russia, with age limit of 27 years, while the same is 35 years for applying to masters programs. Students are allowed a gap of maximum three years during their total study course in Russia. The cost normally ranges from ~ USD 2000 to 8000, which includes the expenses towards accommodation and books, etc. The cost towards dining expenses shall range from USD40 to 80 per week, apart from an allowance of USD 50 towards entertainment expenses. Transport is best available through metro, which will cost USD 8 to 16 per month. Russian government scholarships, totaling 40, comprised of 33 for full professional education and 7 for postgraduate programs. Full professional scholarships are available for students in Bachelors and masters programs, who have minimum 80 % in their grades. Students applying for scholarships in postgraduate courses like Ph.D. etc. should also present a list of scientific works published by them. Moscow, Saint Petersburg, Novosibirsk, Yekaterinburg, Nizhny Novgorod, Kazan. 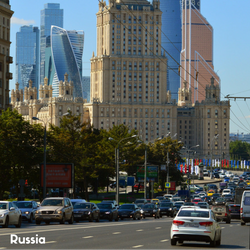 Moscow and Saint Petersburg are major economic and educational centers.